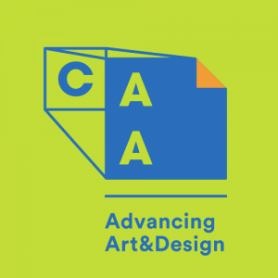 The Archives of American Art’s Graduate Research Essay Prize recognizes original research by a graduate student that engages in a substantial, meaningful way with the Smithsonian’s Archives of American Art. The prize winner will receive a $1,000 cash award, a one-year subscription to the Archives of American Art Journal, and his or her essay forwarded to the editor of the Archives of American Art Journal for peer review and possible publication. With more than 20 million items in its continually growing collections, the Archives is the world’s largest resource dedicated to collecting and preserving the papers and records of the visual arts in the United States. Students may consult original documents by appointment at the Archives’ headquarters in Washington, DC, view more than 2.5 million digital files and interviews online through the Archives’ website, or use the substantial microfilm holdings available through interlibrary loan or an Archives-affiliated research center. Students currently enrolled in a graduate program in art history, American studies, or a related field are eligible to participate in the competition. Submissions for the 2018 prize must be sent to AAAprize@si.edu by August 1, 2018. For more information, please visit https://www.aaa.si.edu/publications/essay-prize. Questions may be addressed to the Archives of American Art’s managing editor, Emily D. Shapiro, at shapiroed@si.edu.